Butterburr, or butterbur, is the common name of an extract from the plant Petasites hybridus. It has been tested in a full clinical trial, which concluded it did have some positive impact on the frequency of migraine headaches in people who suffer several attacks each month. Since 2004, when the study was published, very little other research has been carried out, so it is difficult for people with migraine to find out if it is worth taking or not. 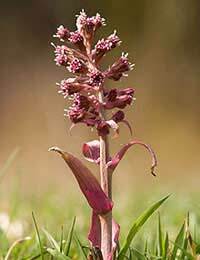 Many effective drugs come from plant extracts and anecdotal evidence that the butterbur plant was useful as a preventative treatment for migraine suggested it might be worth investigating. A team of US researchers set up a clinical trial in the early 2000s, using standardised extracts of butterbur to compare its effects at different doses. A group of people with frequent migraines were split into three subgroups and given either a placebo or a 50mg or 75 mg dose of butterbur. The results showed that the higher dose of butterbur was significantly more effective than placebo at preventing migraines. After three months, migraine frequency in the group treated with the 75mg dose had reduced by 48% - which means that these people were having only half as many headaches as before they started the trial. The clinical trial was careful to note that only extracts of butterbur that had been produced under the best conditions were suitable. Plant extracts used as complimentary medicines are sold as food supplements in the UK, and the amount of active plant extract must be controlled accurately. This makes sure that each batch of tablets contains the same ingredients. If you decide to take butterbur for migraine prevention it is important to obtain the tablets from a reputable supplier. They can be bought over the internet, but an established supplier is best. It is possible to get hold of the plant itself, but it is not a good idea to try to make the extract, as this will result in a preparation with an unknown amount of the active ingredient. There is also the worry that a crude extract will be contaminated with other plant ingredients – some of which are known to be cancer causing. The researchers that ran the trial of butterbur also noted that tablets that provide a daily dose of 100mg of butterbur extract have been sold in Germany since 1992, and around half a million people have taken the extract since it was first allowed onto the market. Although herbal preparations are just as liable to have side effects as drugs produced by the pharmaceutical industry, butterbur seems very well tolerated and safe. Most of the adverse effects are on the digestive system. The most likely side effect of butterbur is that it increases gas production in the digestive system – many people who have taken it report that it makes them burp. This can be inconvenient but most of the people who have found that it helps reduce the frequency of their severe migraines view it as a small price to pay.